Last weekend was Passover and I continued my veggie streak. Today is day 26 without meat! In honor of Passover, I’d like to share a recipe that we created for the big event! The best part about this dish is its versatility! Feel free to change it up to add a little twist in the flavor. 2) Sweat onions in a pan with garlic then add the diced eggplant, zucchini, squash with the dry ingredients and cover for 10 mins over low heat. 3) Then add the chopped mushrooms for another 2 minutes. 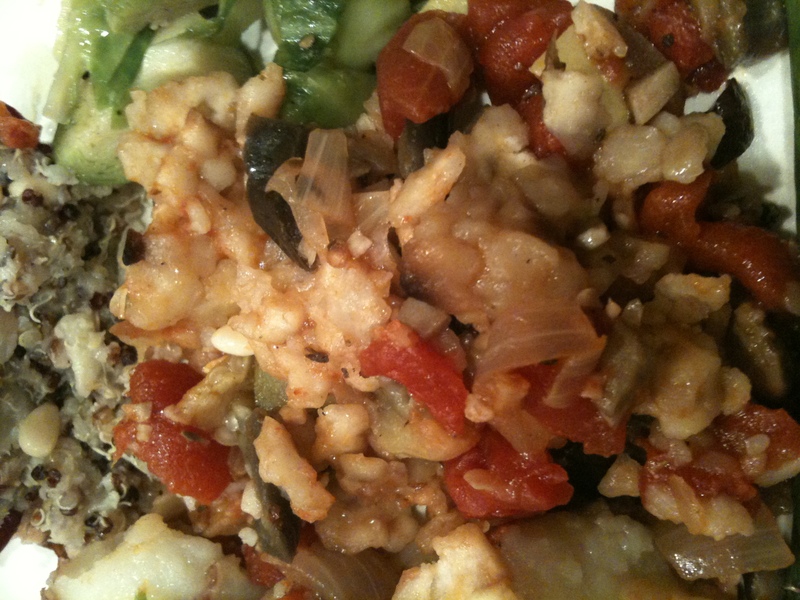 4) Layer vegetable mixture in a cooking pan on bottom then add a layer of the matzah farfel. Continue to layer with the first and last layers being the vegetables. 5)Bake in the oven for 10-15 minuted covered. I hope everyone enjoyed their holiday weekend; enjoy the upcoming one as well! 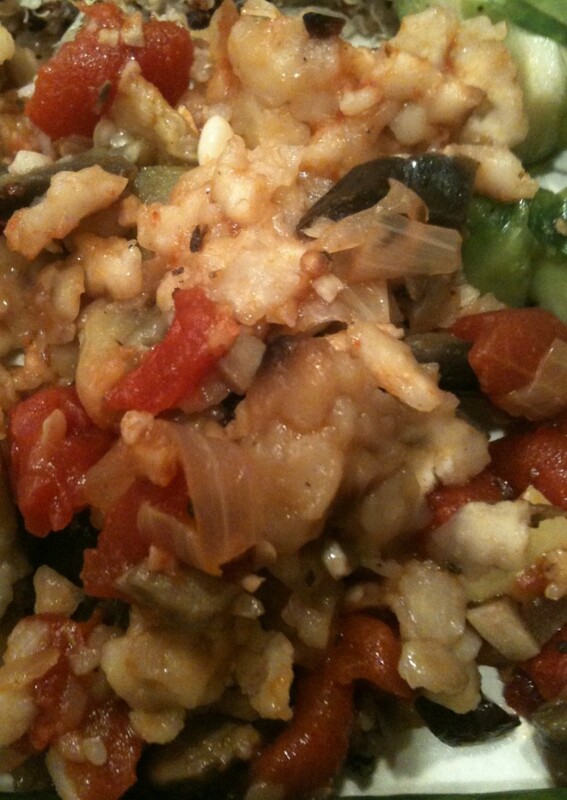 This entry was posted in Passover and tagged eggplant, matzah, onion, squash, tomato, zucchini. Bookmark the permalink.